Two key programs, Water for Victoria and Plan Melbourne 2017-2050, guide the direction of integrated water management in Victoria, and require close collaboration with local government. The implementation of actions from Water for Victoria will require collaboration with local government. In particular, Action 5.1, “Use diverse water sources to protect public spaces” will require collaboration to select priority parks, gardens, public open spaces and playing fields to look after during drought. The implementation of actions from Plan Melbourne 2017-2050 will require collaboration between DELWP and other parties, including local government. Implementation actions include items relating to increasing urban greening, mapping vegetation coverage, cooling, and also stormwater reform (relating to the stormwater reforms already mentioned). However the specifics of how many these actions will be implemented are not yet known, and so the level of participation required from councils is also not yet known. Develops, implements and updates high-level government strategies and supporting policies and legislation. Sets and enforces environmental regulations. Plans and manages stormwater pipes and small-scale green infrastructure (e.g. raingardens) that receive water from catchments generally smaller than 60 hectares. Ensures that new developments are in accordance with regulations. Provide water supply, recycled water, sewage and trade waste disposal services. Responsible for ensuring that rainfall is appropriately directed to an allocated point of discharge to the street, so that their stormwater runoff does not affect other properties. A number of related strategic activities and projects are also underway, which support a collaborative approach to integrated water management. 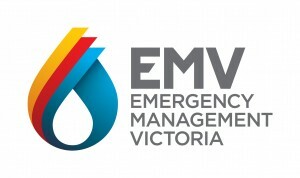 An overview of the common elements of urban water strategic by City West Water, South East Water, Yarra Valley Water and the Melbourne water system by Melbourne Water. Outlines how water corporations are preparing to meet the challenges of a growing city in a changing climate. The Yarra Strategic Plan is being led by Melbourne Water. It is designed to align and coordinate the various organisations, plans, policies and legislation that manage the Yarra River corridor. It was outlined in the Yarra Action Plan, which was informed by the Yarra Ministerial Advisory Committee. During the development of this strategic plan, local governments adjacent to the Yarra River had the opportunity to participate in the development of a 50 year community vision for the Yarra. The first phase of engagement (September to November 2017) brought together 24 randomly selected passionate citizens, known as the Yarra River Community Assembly, to write a 50-year community vision for the Yarra, which will become the cornerstone of the Yarra Strategic Plan. The Yarra Community Vision was released in May 2018. Between May and August 2018, Melbourne Water undertook community engagement to build the content of the draft Yarra Strategic Plan, in the form of workshops and online engagement. The information collected from the community will be used to write the draft Yarra Strategic Plan, to be released in 2019. Read more about the Yarra Strategic Plan here. Melbourne Water’s Healthy Waterways Strategy (HWS) sets the long term strategy for protecting and improving the health of Melbourne’s waterways. Core components of the current HWS are the key values that waterways support, and the portfolio of management options available to Melbourne Water. The HWS is currently being refreshed, with a focus on community engagement to determine what the community values most, and what managed options should be prioritised. The refreshed HWS will also incorporate stormwater issues, which were previously managed through a separate Stormwater Strategy. Local governments have been involved in a variety of workshops in each of Melbourne’s catchments to help inform the HWS refresh. The Refreshed Healthy Waterways Strategy and the Co-Designed Catchment Programs have been approved by the Melbourne Water Board and are now with the Minister for final approval. Workshops are planned for October 2018 and February 2019, along with a region-wide Lab to discuss the MERI – Monitoring, Evaluation, Reporting and Improvement Plan. More information on the MERI will be available in 2019. Read more about the Healthy Waterways Strategy here. The Melbourne Sewerage Strategy is a 50 year strategy which is being developed collaboratively between Melbourne Water, Yarra Valley Water, City West Water, South East Water, and Western Water. The Strategy will provide the future direction for Melbourne’s sewerage system, ensuring it continues to protect public health and the environment along with defining its role in supporting Melbourne as a Water Sensitive City. Community feedback was collated in early 2018, and will be used to develop the Melbourne Sewerage Strategy. The final strategy and engagement summary report will be publicly available in October 2018. Read more about the Metropolitan Sewerage Strategy here. 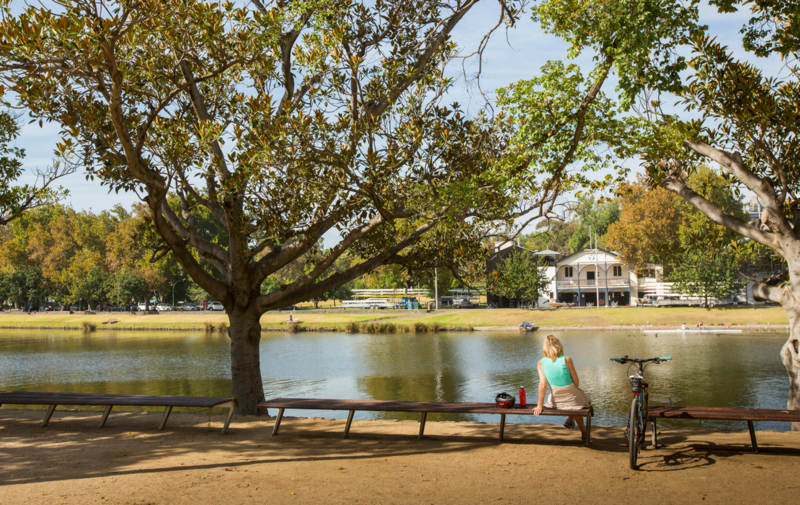 Melbourne Water is committed to creating thriving environments and through the Urban Cooling Program aims to transform 30 hectares of public land with shade and cooling by 2021 to help mitigate the urban heat island effect. Work is underway to increase tree canopy cover and irrigation of parks and trees where it’s needed most. 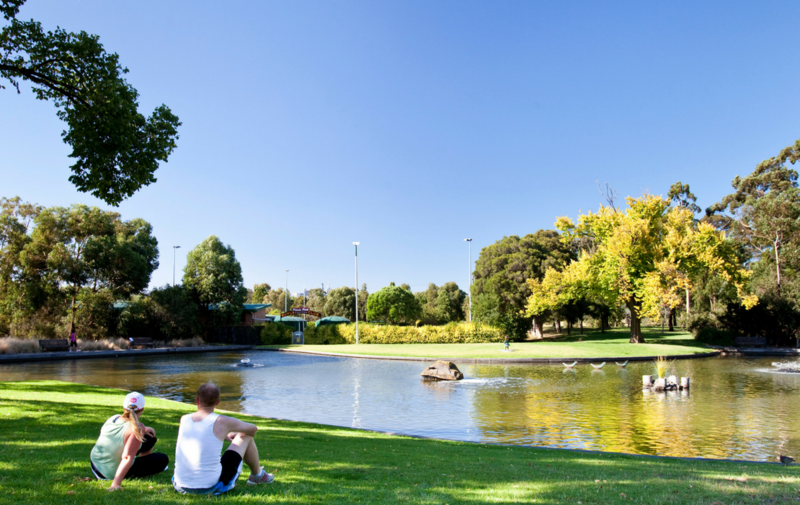 The objective is to create cooler and greener spaces across Melbourne so they are enjoyable for more days of the year. While currently focussed on Melbourne Water land, the program’s wider partnership opportunities are being explored. Read more about the Urban Cooling Program here. 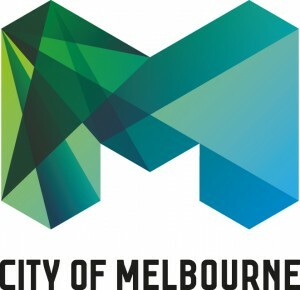 A Flagship action within the Resilient Melbourne strategy is the development of the Metropolitan Urban Forest Strategy to extend and link existing urban greening, reforestation and nature conservation initiatives across Melbourne, to improve health and wellbeing and reduce exposure to hazards such as heatwaves and flooding. The Nature Conservancy, a global platform partner with 100 Resilient Cities, is leading the development of the Strategy in collaboration with metropolitan Melbourne’s 32 councils and a variety of other stakeholders, including water utilities and state government agencies. The objective of the Strategy is to enable strong natural assets and ecosystems alongside a growing population. In particular, the: · Associated improvement of sustainability (e.g. stormwater water runoff, ecosystem improvements), liveability (e.g. heat and flood mitigation), viability and community wellbeing (e.g. amenity physical, mental, neighbourhood pride and overall enjoyment of a place) · Enhancement, maintenance and increase in vegetation, with a particular emphasis on native vegetation, and the ecosystem services that they support with stress on outcomes relating to biodiversity and conservation and community health and wellbeing · Enhancement of natural values (biodiversity), such as the native fauna presence and movement. The Strategy will utilise assets provided by Trimble and DigitalGlobe to map the current state of urban vegetation and analyse its relationship to ecosystem services and elements of urban biodiversity within the context of urban growth and densification. This analysis will assist in the development of a Technical Support Document used to inform recommendations regarding policy, partnerships, financing, implementation and maintenance. The development of the Strategy has been facilitated by the collaborative involvement of local and state government and other relevant stakeholders. This has been achieved primarily through a series of workshops designed to identify recommendations and actions for urban vegetation across metropolitan Melbourne. The draft Strategy will be released for consultation in November 2018. A Ministerial Advisory Committee is being established to develop an Action Plan which will protect waterways in Melbourne’s west. The Waterways of the West Action Plan will be developed in cooperation with Traditional Owners and communities, identifying priority projects and areas for protection. Read the media release here..